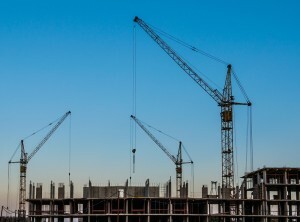 Constructing a new building is one of the most regulated industries out there. When it is finally time to move out of your old, run down building and have a new glorious structure built for you it can be a great time for your business. However, before you get too far into the procedure there are many things that need to be taken into consideration to protect yourself legally (and physically for that matter) in order to avoid some serious headaches. In this post, we will look at a handful of guidelines that should be adhered to during your construction process to secure a safe and secure project for everyone involved. Because, in the end, you are not only responsible for your own business but the construction crew and pedestrians as well. Zoning laws are a necessary evil that you will have to deal with before a spot can even be chosen as your building site. Who knew that having a structure too tall next to a school could be illegal just because it blocked sunlight on the playground? Its weird situations like this that zoning tries to prevent. Each and every municipality in developed countries around the world has their own rules and regulations regarding where certain types of buildings can be placed, so start looking into this early on. After zoning approval, your actual building plan will need to be approved before you can get a construction permit. After a spot is chosen and approved for a building site, you will need to go through the paperwork and obtain a construction or building permit which will allow construction on your approved location. Among other things, the government uses these permits to track economic development on a monthly basis. If you choose to proceed without a proper permit, you face a best case scenario of getting by with just a massive fine, or a worst case scenario of unannounced demolition. That’s right, the government can swoop in and take you building down if there is not proper authorization. Along with a permit, inspections will be required. You could face potentially four or five inspections at various times before, during and after completion of your new building or renovations. Expect to pay some fees here as part of the approval process which could range in the hundreds of dollars depending on what and where you will be building. It is essential in most areas that all work (construction, plumbing, electric) be done by certified or bonded contractors. Failing to do this can result in extensive fees, or a loss of time and productivity as part of the project will have to be re-done by a certified contractor. Do it right the first time and make sure you chose the right people for the jobs. There are literally hundreds, if not thousands of regulations pertaining to safety and health during the construction process. Be sure to know the basics before getting started. One issue I am choosing to highlight is proper signage. Signs ranging anywhere from your run of the mill caution or danger to exit signs all have certain specifications (regarding color and size) that need to be adhered to at all times. Having a safe, up to code work environment will protect you from a costly accident claim, accident law is of the utmost importance during any construction process. If someone gets hurt when corners are cut or other regulations are ignored it could spell a very long and expensive period for your business. Obviously, in this much space I can only highlight some of the things that you should be looking for and thinking about during your building project. Depending on the amount of construction that will be done, this can be a lengthy process lasting weeks, or months before ground is even broken. Plan accordingly, consult with people who have done it before and then sit back and enjoy watching the construction of your business’ new home! Previous post: Duncan Bannatyne’s acrimonious divorce, could mediation have helped?